Whether you’re a commercial business owner or simply a proud homeowner you’re going to love the results of Surfsce Spa’s concrete cleaning services. 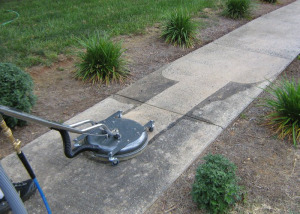 We clean all concrete hardscapes: from factory floors to workshop bays and residential walkways. For our residential clients the benefits are pride in ownership & lasting value. For our commercial clients customers satisfaction rises – especially when you beautify the walkways leading into your business. Give us a call to checl or the pricing of our concrete cleaning services. Copyright © 2019 Surface Spa. All Rights Reserved.